Linux users can now control their homes remotely! Are you a Linux user who has ever wanted to turn on the lights in your house, or open and close the curtains, while away on holiday? Want to be able to play the same music in every room, controlled from your laptop or mobile phone? Do you want to do these things without an expensive off-the-shelf kit? 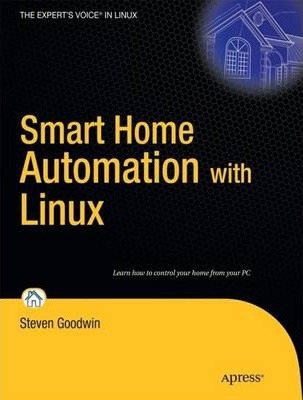 In Smart Home Automation with Linux, Steven Goodwin will show you how a house can be fully controlled by its occupants, all using open source software. From appliances to kettles to curtains, control your home remotely! Steven Goodwin has been involved in science and technology from an early age, and built his first synthesizer while still in his teens. Since then, his projects have been varied. He has sold over a million computer games, written two books, built robots, and automated a house that can be controlled from the Internet. He has spoken at many conferences, including NotCon '04 and the BBC Backstage OpenTech event.